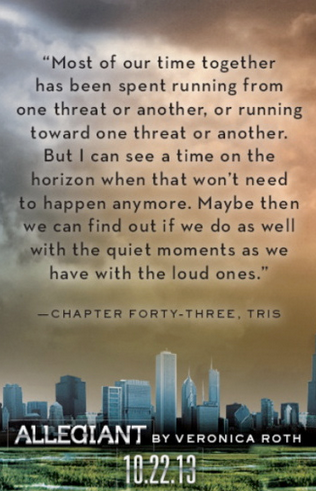 The long-awaited conclusion to the Divergent series is coming in 20 days’ time. 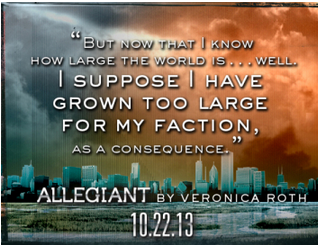 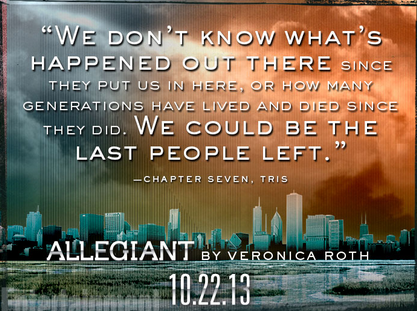 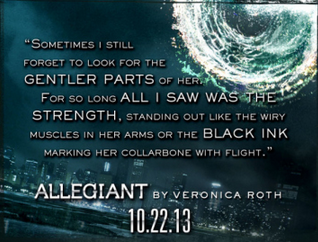 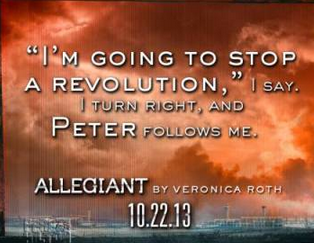 ‘Allegiant’ by Veronica Roth is sure to be epic, and with these teasers, how can we wait any longer? 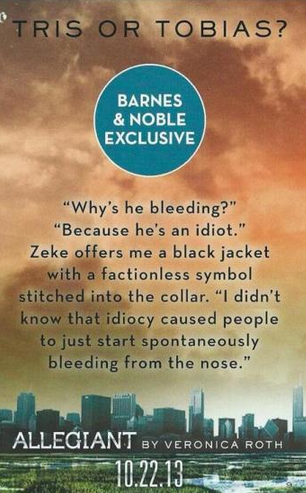 But don’t worry, fangirls! 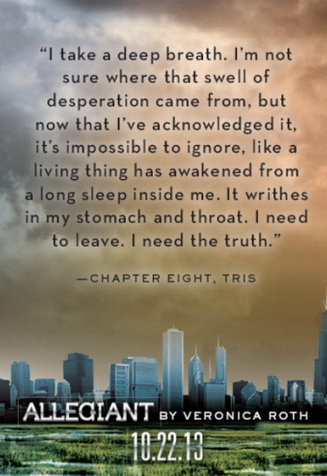 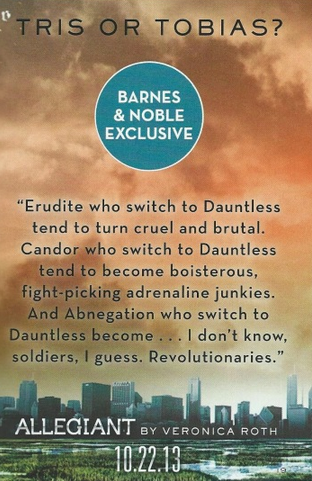 This isn’t the end of the Divergent world. 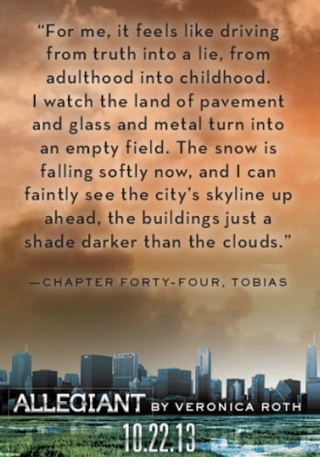 Short e-books in Four’s POV are already out with more to come, and the film adaptation of the first book, Divergent, hits cinemas in March. 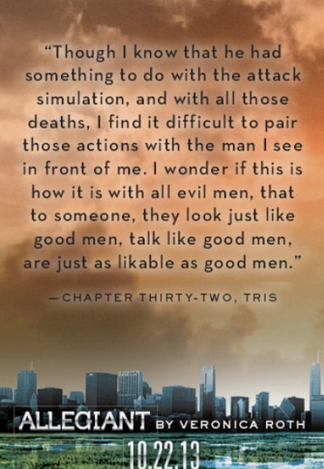 To see our decoding of the trailer, please click here. 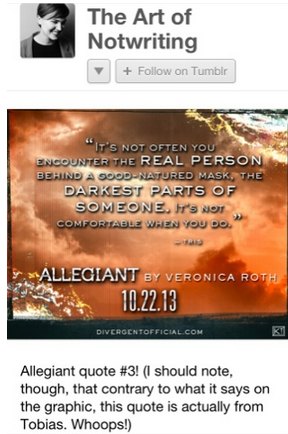 And if you haven’t seen the new featurettes for the movie, you can watch those below. 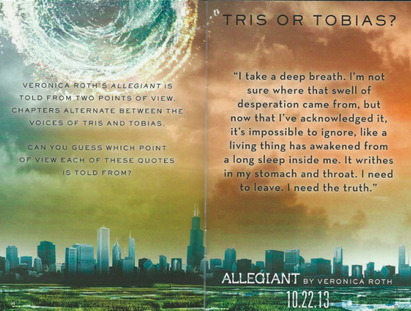 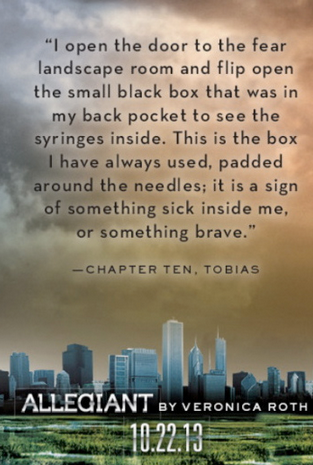 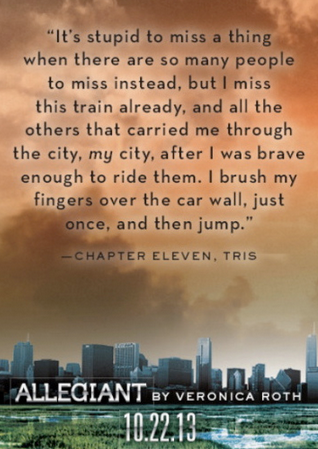 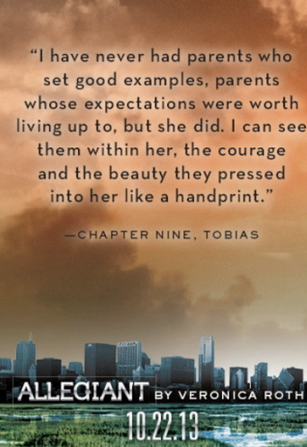 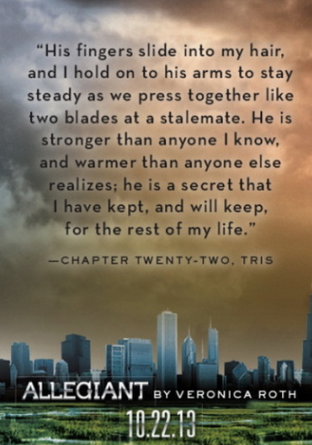 This entry was posted in Book Adaptations, Divergent, Veronica Roth and tagged all allegiant quotes, Allegiant, allegiant quotes, book, divergent, Four, fourtris, Insurgent, Movie, quotes, release, Sneak Peek, Tobias, tobias eaton, Tris, tris prior, veronica roth.